All the Osteopaths at West London Osteopaths are registered with the General Osteopathic Council (GOsC) and have completed a rigorous full-time four-year course at the British School of Osteopathy, where they will have been awarded a diploma in osteopathy (D.O.) or, more recently, an honours degree in osteopathy (BSC (Hon) Ost). Their full-time studies have given them detailed knowledge of anatomy, physiology, pathology and the clinical diagnostic skills needed to make an osteopathic evaluation, diagnosis and prognosis. The American physician and founding osteopath Dr Andrew Taylor Still founded the science of osteopathy in 1874 in the USA. Around the turn of the century, one of his students, Martin Littlejohn, returned to England and, in 1917, he founded the British School of Osteopathy. Since then the knowledge and popularity of osteopathy has grown, with many thousands of osteopathic treatments being carried out every day in the UK. 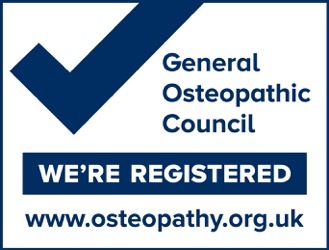 The Osteopaths Act of 1993 established the General Osteopathic Council (GOsC) making osteopathy the first complementary-healthcare profession to be statutorily recognised. This bill ensures that every osteopathic practitioner in the UK has to be qualified and registered with the GOsC. The GOsC requires very high standards of practice, ethics and continual professional development from its members, which results in better osteopathy for every patient. Today he lectures on postgraduate courses to Osteopaths in the UK, Germany, Sweden, Norway, Malta, France and Portugal. David Tatton has lectured extensively throughout the UK and Europe and taught at the British School of Osteopathy for 23 years, where he was Co-Head of the Osteopathic Technique Department, Senior Lecturer in Osteopathic technique and taught on the undergraduate professional course leading to a a BSc in Osteopathy. David continues to lecture in osteopathic technique to postgraduate osteopaths and manual therapists in the UK, Germany, Sweden, Norway, Malta, France and Portugal. David is also Chairman of the London Osteopathic Society. The London Osteopathic Society holds lectures on a wide range of subjects and matters of interest, which are given by specialists in osteopathy and related medical and healthcare professions. The society also enables osteopaths to regularly meet and discuss their day-to-day practice life. For more information on The London Osteopathic Society please look on the London Osteopathic Society website.